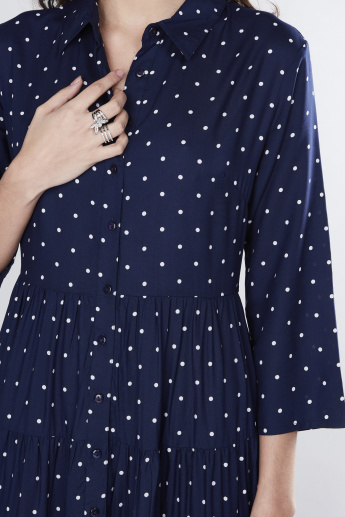 Elevate your taste in fashion by wearing this polka dot printed tiered midi shirt dress for those work parties. It is sure to make heads turn owing to its chic appeal. The dress will keep you at ease throughout the time owing to its soft material make.